If someone tells you that user experience (UX) and user interface (UI) are separate from web design, they’re doing it wrong. These key considerations are integral to any quality web design and development project, even small updates, and you shouldn’t have to pay separately for the confidence that your site will provide an excellent overall experience with reliable functionality. While the Oneupweb team’s instinct, experience, and continual education allows us to provide that confidence for every client, we like to take our everyday research and review a step further to produce truly unmatched websites that reach the farthest. This is where our usability testing services come in. 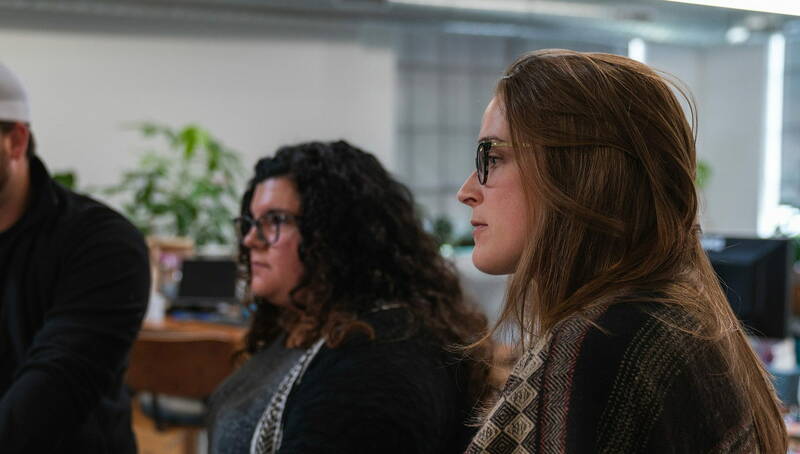 We conduct comprehensive, quantitative and qualitative usability testing (aka user testing) to see how your website performs in the wild – how does it make your potential customers feel and behave when no moderator is watching? We vet participants for the proper audience demographics and device, we study hours of footage, we ask the right questions. Even more than our built-in UX and UI design reviews and efforts, usability testing informs ultra-calculated site builds or adjustments that work for the most people possible. 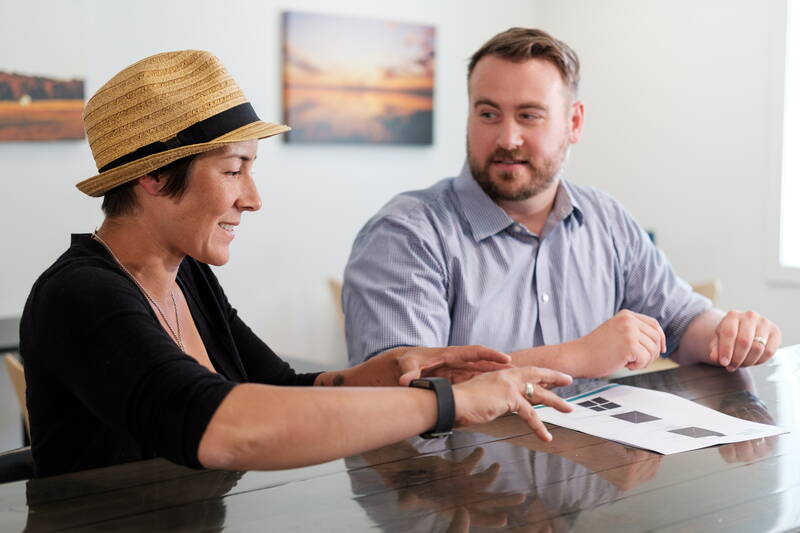 Our team has decades of combined experience in both UX/UI design and the usability testing we perform to guide design. They also have great instincts and do their research, combing the web for user experience best practices, appealing interfaces that they can make even better – and the technologies that can get them there. That’s because providing great experiences doesn’t become second nature; it requires constant work and education as users’ expectations fluctuate. Research is life at our agency, but of course so is creativity. Who wants a website that looks and functions just like everyone else’s? 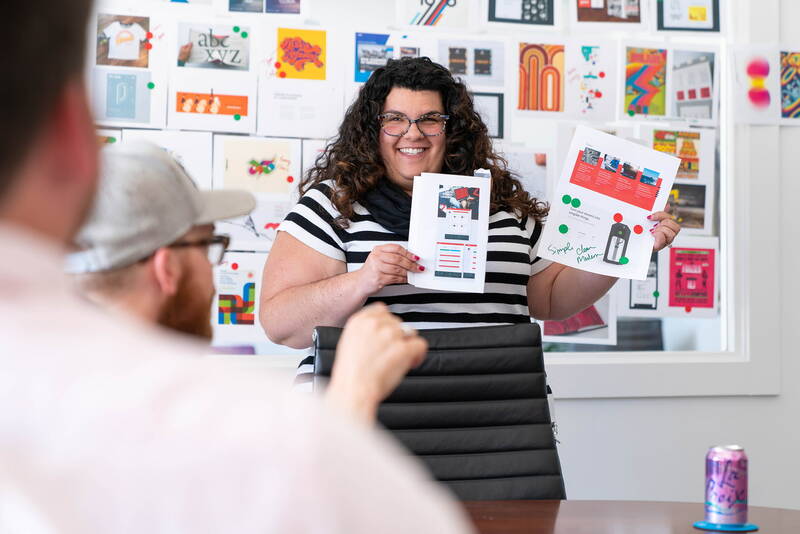 To keep their artistic muscles pumped, the web design and UX/usability testing experts do weekly creative exercises together, making their coworkers jealous and opening their minds to inarguably delightful ideas. Want to discuss usability testing, UX audits and related services with us? See your users clicking, scrolling and reacting. You can hear their important thoughts firsthand (spoken aloud) without having to wade through hours of video. This map details your audience’s first impressions, Net Promoter Scores (NPS), overall emotions and more after they’ve experienced your site on desktop or mobile. This is a visual representation of which page paths your users commonly choose (even outside of a usability testing setting) and helps determine how to put more people on the ideal path to conversion. Our UX experts will become your audience, navigating every detail of your site from an objective standpoint and multiple goal perspectives. From your CTAs to your link architecture, we’ll dig up what aspects fall short and then work with you to make strategic improvements. This service is an on-the-ground exploration of parts of your site to get a basic view into user experiences. Unlike a full UX audit, it typically zooms in on a few different pages or sections of a site, or on ads, and is built to deliver big-picture insights. Need to narrow in on exactly who your audience is? A good persona strategy is a smart place to start. We’ll work as a team to envision realistic, data-informed personas that you can share with all your staff. Sometimes a straightforward goal doesn’t inspire action, but a realistic use case does. Use cases are three-part customer journeys you want to create, and they’re a clear jumping-off point and guiding force for any marketing effort. Not a service, a way of life. User experience (UX) is design, content, the whole journey. User interface (UI) is its natural complement and ensures functionality. No matter if you choose to undergo extensive usability testing, UX and UI are always a huge part of every website we design and build. Usability testing services and UX audits allow our designers and developers to do UX and UI even better. Heatmapping allows us to see where users focus most when they navigate your site. It’s useful for testing out clickable features, new and old, and seeing which content is being overlooked. With customizable survey tools, we can ask your audience just what they want from your site.